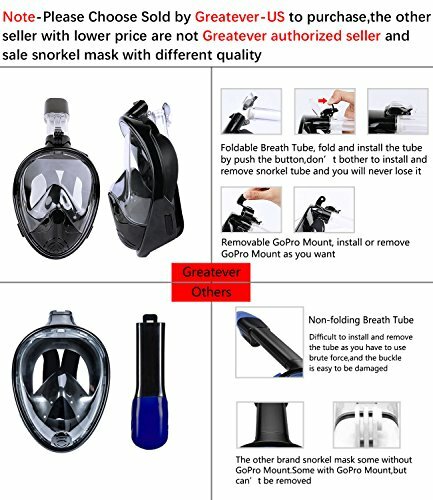 The Greatever Snorkel Mask is a full face snorkel mask. These relatively new products have revolutionized snorkeling, making it a more comfortable and immersive experience. Before testing this product, we reviewed the Best Full Face Snorkel Masks for Traveling. There are, however, a few things you should know before making a purchase. The mask is suitable for specific uses and must be bought in the correct size to ensure a tight seal and prevent leaks. The video below will walk you through everything you need to know before purchasing your full-face snorkel mask. We conducted our test near the Oudekraal Marine protected area in Cape Town. We were a group of four divers, but only two of us were wearing Greatever Snorkel Masks. Poseidon treated us with excellent visibility, but particularly cold water (14°C / 58°F). The excellent visibility seemed to make the fish more skittish than usual, but the area’s resident seal colony reacted very differently. They were especially friendly and playful, darting in and around our group of divers. Our dive lasted 2hrs 30min, although that included a de-thawing break on a small rock. It was mightily cold! The Greatever Snorkel Mask does everything it is supposed to do, functioning effectively as a snorkel mask. This is expanded on below. 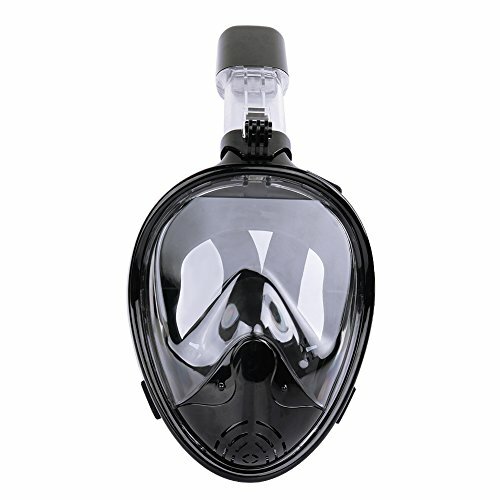 The Greatever snorkel mask facilitates easy breathing, as full face masks are supposed to. One is able to breathe through both your nose and mouth, a major improvement from traditional masks that only allow mouth breathing. Furthermore, no water will ever enter the breathing chamber. The mask is fitted with a valve that blocks any water from entering from the top of the snorkel. You will also never face the problem of your snorkel falling out of your mouth. Ultimately, this makes the snorkeling experience more comfortable, especially for those who are not completely comfortable in the water. No more choking on water that has somehow made its way into your snorkel. 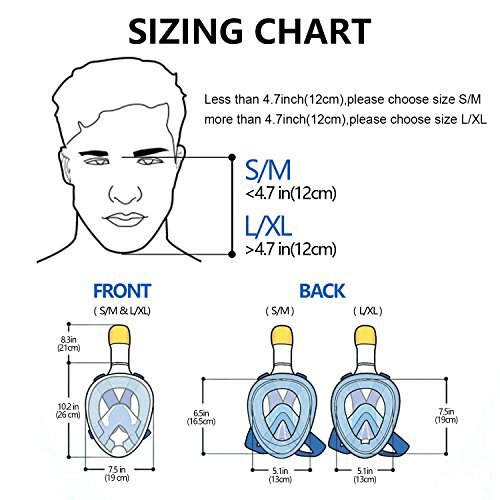 The single-piece lens is far bigger than those found on traditional masks. This increases peripheral vision, which has historically been restricted by traditional masks. The result, a panoramic 180° view of the ocean below. Furthermore, the mask has an effective anti-fog system. We cannot overestimate the importance of this feature as a mask that continually mists up will completely ruin a dive. Ultimately, one snorkels to view and observe the wonders of underwater life. The improved visibility afforded to one by this mask will therefore significantly improve your experience. We have not used the mask for long enough to properly assess its durability, but it does seem to be a sturdy piece of equipment. Thick plastic is used throughout and the clips seem strong. Furthermore, we could not find any reports of flimsy quality. Everything seems to check out. The Greatever snorkel mask is an extremely comfortable piece of equipment. It did not cause any discomfort for either of our divers, rather enhancing their underwater experience. There are no pressure points on the straps, which rather distribute their gripping force evenly across one’s head. By keeping one’s face dry, the mask effectively protects your face from the cold, something previous diving equipment has failed to do. This mask, in incredibly cold conditions, kept our faces toasty and comfortable for over two hours. Furthermore, unlike the traditional setup, the integrated snorkel does not require one to hold it in position with your mouth. Goodbye jaw fatigue! Ultimately, as long as you purchase the correct size, this mask will provide extreme underwater comfort. It allows you to forget about your equipment and rather immerse yourself in the marine world below. The video at the beginning of this review includes a tutorial that explains how to find the correct size. When it comes to snorkeling, the Greatever snorkel mask is extremely versatile. It can be used to snorkel anywhere in the world in any safe diving conditions. Snorkel masks are, however, not suitable for deep diving. If you plan on venturing below the surface, a traditional mask and snorkel will be ideal. 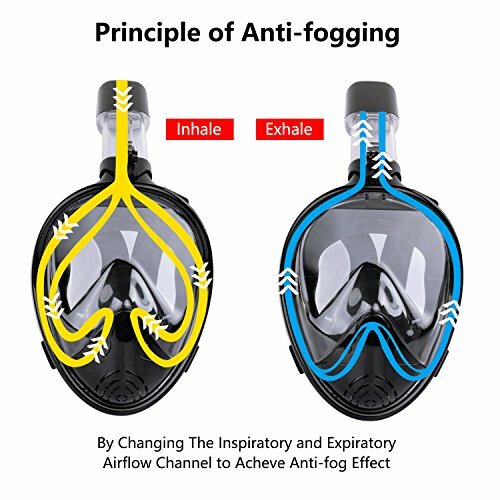 This is because full face snorkel masks such as the Greatever cover one’s nose, therefore preventing one from equalising using the Valsalva Maneuver. Furthermore, the mask’s large air pocket will shrink under pressure as you dive deeper, causing mask squeeze. Ultimately, this mask can be used for any type of snorkeling, but not much else. 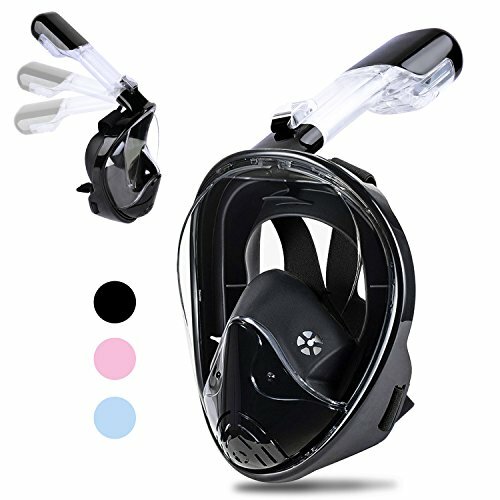 The Greatever Snorkel is not the cheapest snorkel mask on the market, but one would not expect that from a quality product. It sits at a mid-range price point, providing excellent value for money. If you are looking for a top of the range snorkel mask, look no further than SnorkelinGear’s full face mask. Something mid range can be satisfied by the Seaview 180° Snorkel Mask, a superb full face snorkel that is on of our favourites. On the other hand, if the Greatever is a tad expensive, Belfino’s Full Face Snorkel Mask is a budget-friendly alternative. Although the mask looks rather bulky, it folds into a small waterproof bag, making it easy to store and transport. The way the snorkel folds backwards into the mask, rather than detaching is unique to Greatever mask. The folding system is more user-friendly than the removable system, which has been reported to require ox-like strength to operate. Ultimately, the Greatever mask’s ability to fold into a small bag makes it the perfect travel companion. 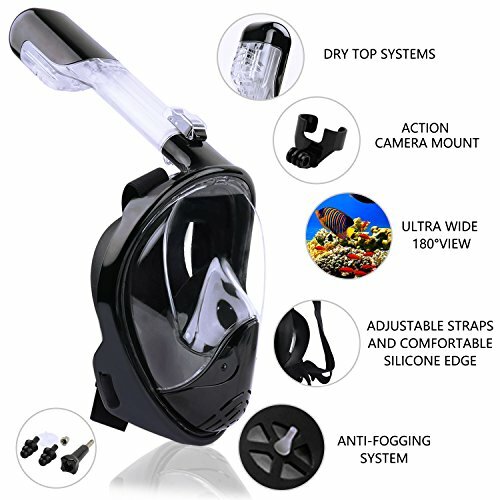 The Greatever Snorkel Mask comes with a removable GoPro mount. It mounts at the base of the snorkel, therefore remaining out of your eye-line, while still capturing everything you see. Ultimately, this allows you to record everything you see, without having to actively focus on filming. Just enjoy your dive and everything you see will be recorded. This mask uses a flat lens, rather than a panoramic one. This is important with regards to distortion. A curved lens makes some things seem closer or further away than in reality. The Greatever mask\s lens limits distortion to the edges of the lens, while its panoramic counterpart will distort one’s entire field of vision. When it comes to a warranty, one should look at transparency, clarity, and length. 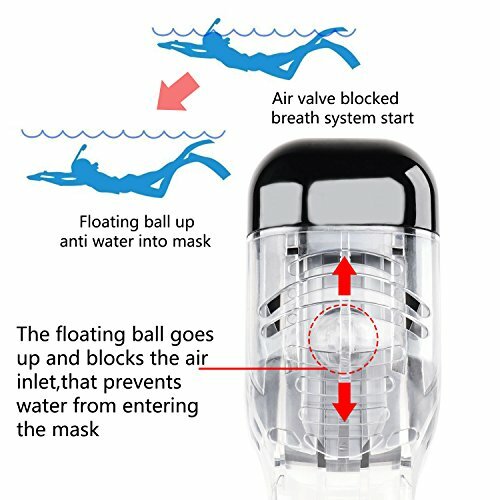 The Greatever snorkel mask’s warranty is neither transparent nor clear. It advertises a lifetime warranty on the advert’s front page, but then in the product description states that quality issues must be dealt with within 90 days. This contradiction does not sit well. Does the mask come with a lifetime warranty, or is one unable to return the item within 90 days? If looking good in the water is important, then you are in luck. One has a choice of 3 colors: black, blue, and pink. Spoilt for choice right? 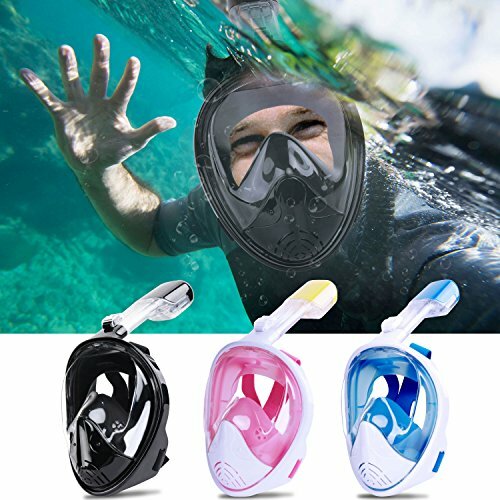 The Greatever Snorkel Mask is a fine product that would enhance your next snorkeling trip – making you more comfortable and helping you immerse yourself in the marine world below the surface. 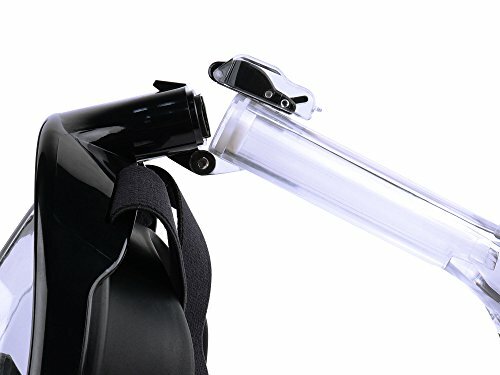 It is a quality item I would recommend to any snorkeler, experienced or novice.